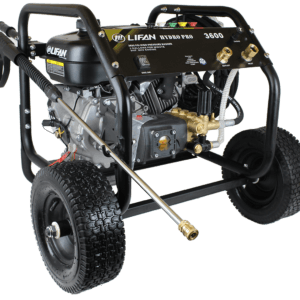 LIFAN Power USA is proud to offer a full line of quality pressure washers with our Hydro Pro Program. All of our pressure washers are manufactured with high pressure Annovi Reverberi pumps. Our innovative technology and durable construction provides years of reliable service for all your power washing needs. No More Bending! All controls at you fingertips! 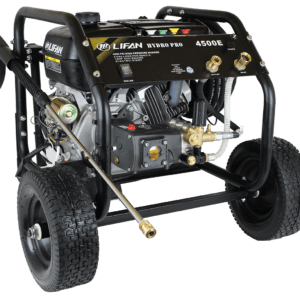 LIFAN Power USA’s Hydro Pro Series Commercial, Contractor and Rental-Grade Pressure Washers come equipped with our Never-Go-Flat Foam Filled Wheels, and use LIFAN’s Industrial Grade OHV Gasoline Engine and High Quality Annovi Reverberi Axial Cam Pressure Pumps. All the controls are at your fingertips – no more bending over! CARB Certified Models Available! The Annovi Reverberi Pumps are warranted by the manufacturer. We fully support our Hydro Pro Pressure Washers with our Warranty Policy.